Looking for a shoe that has athletic flair, style, and protection? We’re not kidding when we say our Puma Safety footwear is on FIRE right now. Okay…well not literally on fire, that’s more of an expression. Just know that athletic safety shoes are selling like crazy! As a hard working w oman you deserve the same quality, durability, and safety that men’s safety shoes provide. We know exactly what our customers are looking for and we’re not going to stop until we provide our girls with the best quality safety footwear available on the market. Let’s take a look at Puma Safety. Puma is known worldwide, but what you might not know is that they manufacture athletic performance safety shoes. 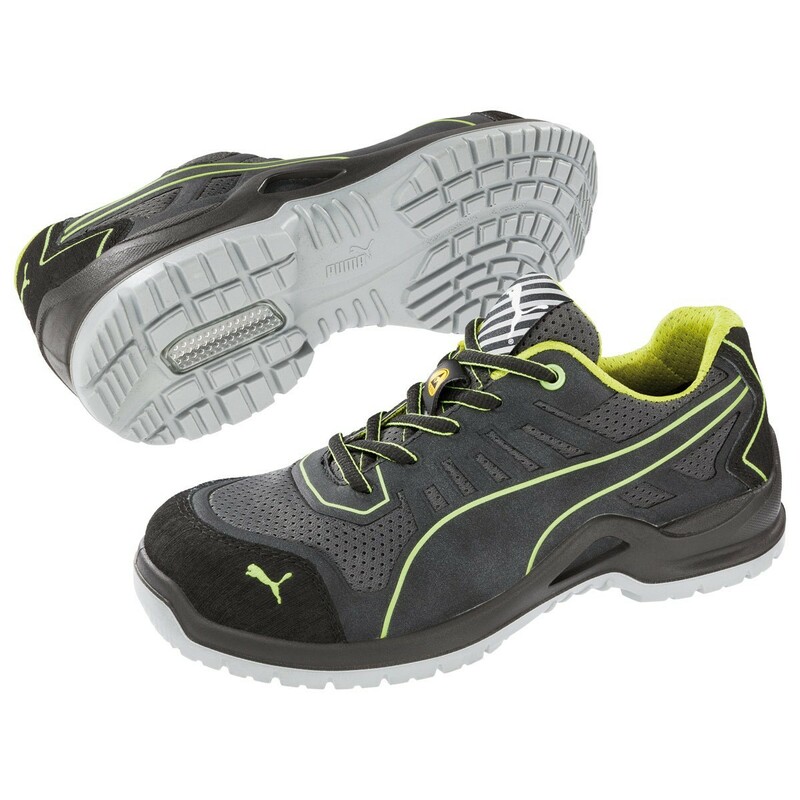 Puma Safety shoes are lightweight and offer important safety features like static dissipation, ASTM rated toes, heat and slip resistant outsoles, and more. These shoes can transition effortlessly between work, home, errands, and outdoor hobbies that require a little extra protection. At Safety Girl, we carry two different lines from Puma Safety: Miss Safety Technics and Miss Safety Motion. So…you’re probably asking what are the key attributes for Puma Safety shoes? Let’s discuss! The Miss Safety Technics line is characterized by high flexibility + lightweight construction. The basis of this new ladies premium safety shoe line is the naturalFLEXMOTION sole architecture. It introduces the natural running concept into performance safety footwear. The newly developed wafer-profile of the sole offers the best possible grip especially on industrial flooring. The uppers of the shoes are made of robust microfibers or leathers that are resistant to abrasion. The smooth and soft materials offer more protection from penetrating moisture and are super easy to clean! The micro-channel system of this multi-layered lining provides you with a better breathability and moisture management. The Miss Safety Technics shoes features a protective steel toe cap I/C 75F. The Miss Safety Motion line is exactly what working women want. The rubber outsole is 572-degrees F heat, oil, and slip resistant inspired by the latest running technology. The sole profile ensures a flexible and secure contact with the ground (ASTM F 1677 Mark II). The Torsion Control System at the waist of the sole provides better support and stability. The EVA Midsole is injected with thousands of tiny bubbles in this ultra lightweight midsole for an optimal cushioning and improved flexing action of the foot. The gel IQ.Cell pad is directly embedded into the heel area and works just like a trampoline by absorbing shock energy and returning it as bounce. The Miss Safety Motion shoes features a protective steel toe cap I/C 75F. Ladies…it’s time to stop the agonizing hunt for cute, comfortable safety footwear. 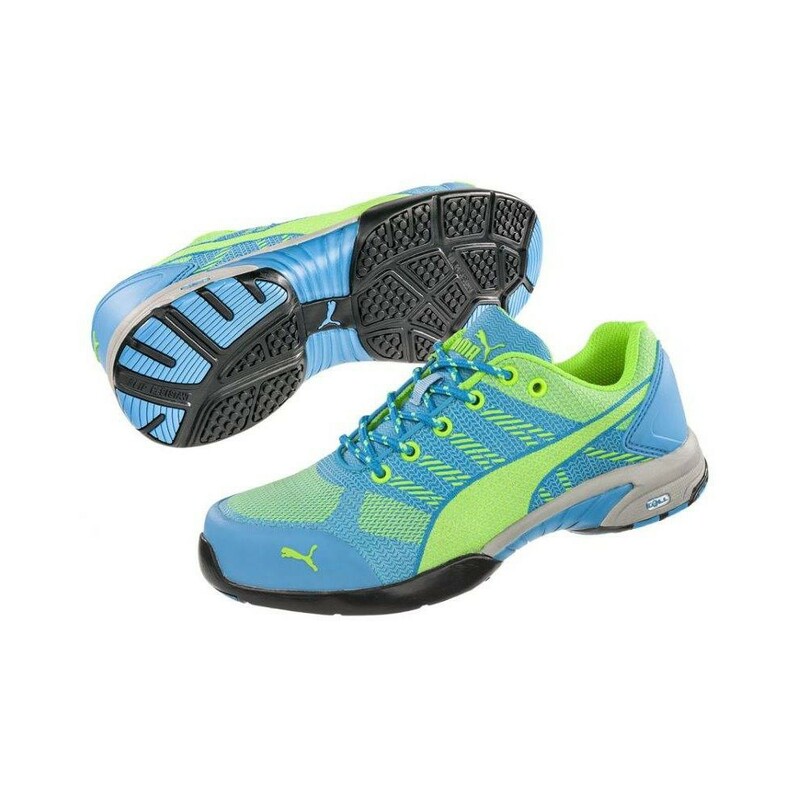 With Puma Safety you know you’re getting top quality and style. 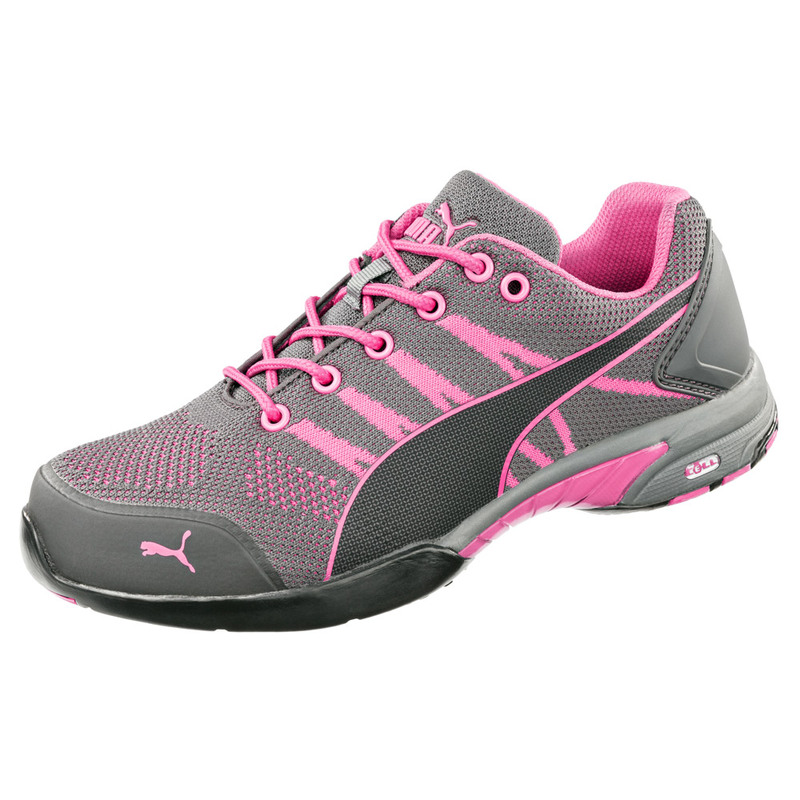 Try a pair of the newest models Puma Safety Celerity Steel Toe Safety Knit Shoes available in Pink or Blue for $95.00. The ultraflexible textile fabric perfectly adapts to the foot and fits like a sock for unsurpassed comfort! All Puma Safety shoes meets or exceed the highest ASTM standards for toe impact I/75 and compression C/75. *Sign up for our Safety Girl Newsletter and receive exclusive promotions and coupons that are not advertised on our website!